The Secunia Personal Software Inspector (PSI) is a free computer security solution that identifies vulnerabilities in non-Microsoft (third-party) programs on your PC. Vulnerable programs can leave your PC open to attacks. Simply put, it scans software on your system and identifies programs in need of security updates to safeguard your PC against cybercriminals. It then supplies your computer with the necessary software security updates to keep it safe. Using a scanner like Secunia PSI 3.0 is complementary to antivirus software, and as a free computer security program, is essential for every home computer. SecurityCheck is a program that searches for installed and running security programs on a user's computer. After it is finished, SecurityCheck will then display a log file that contains information about the security programs found on your computer and the status of security services such as Windows Firewall. The Antivirus/Firewall Check section will contain information about antivirus programs that are installed on your computer and whether or not you have a firewall enabled. The Anti-malware/Other Utilities Check lists installed anti-malware programs as well as utility programs that include Java, Adobe Reader, and Flash. The Process Check section will list all of the running processes at the time the log was created. Web safety is not just about viruses and malware. 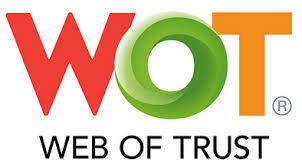 WOT’s ratings are powered by a global community of millions of users who rate websites based on their own experiences. Add WOT to you browser for protection against online threats that only real life experience can detect, such as scams, untrustworthy links, and rogue web stores.